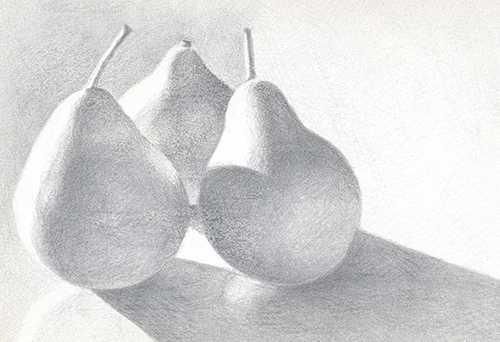 Published June 29, 2015 at 500 × 342 in Pear Trio. 7″ x 8.5″ silverpoint drawing. Silverpoint is technique dating to the Renaissance whereby silver wire is used as a medium with which to draw. It leads to a delicate image which tarnishes over time. Honorable Mention Award: Great Lakes Regional “Small Works” Show.